The Model T-400 is an entry-level Case Sealer. The T-400 was created to fulfill the numerous requests for an affordable case sealer that could handle the daily rigors of the demanding fruit industry. For some applications throughput volume isn't high enough to justify a machine capable of 30 or more cases a minute. Fruit and Vegetable Growers and Packers, already familiar with the SIMS reputation, were eager to utilize the T-400 on their specialty lines. 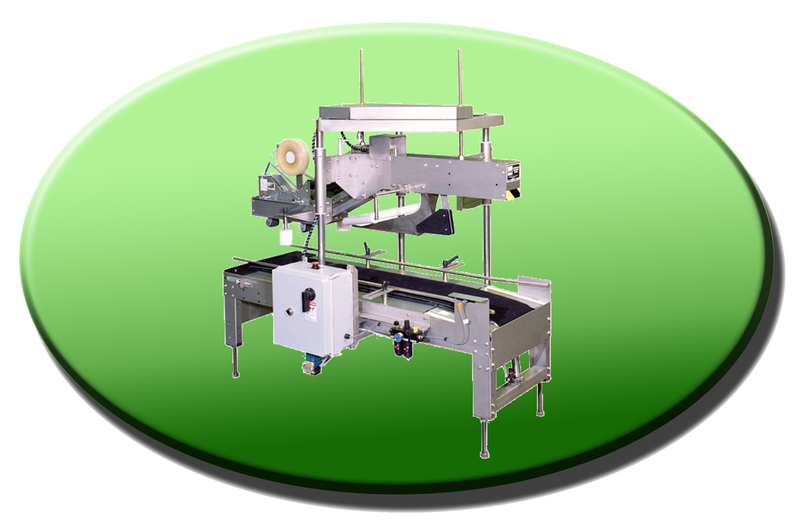 The T-400 is a solid Case Tape Sealer built with a minimum of moving parts. The T-400 is built for high performance and low maintenance. This model is perfect for companies that are just beginning to automate packaging lines and don't want to outgrow the functionality of their equipment when they're ready to upgrade. It is also perfect for applications that require less speed and can benefit from an even greater Return On Investment payback. TAPE ROLL: Maximum diameter 14"